The main objective of the observatory is to investigate how to reduce the environmental footprint of packaging. What materials will be used in the packaging of the future, how will it be designed, what new functions will it have and, most of all, how can it be made more sustainable. All of these issues were discussed yesterday at TheCircularLab, the innovation center of Ecoembes. 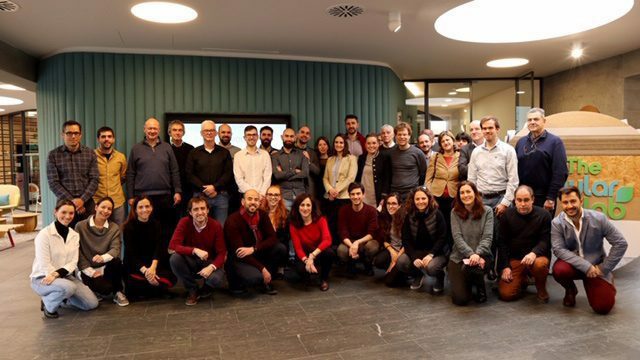 In the presence of more than 40 representatives from Spain’s main tech companies and centers, the Future Packaging Observatory was introduced and a workshop on bioplastics was held. At the start of the workshop, attendees were able to see what the Future Packaging Observatory consists of and how to make use of this platform, which gathers all the information published worldwide on the subject of packaging and that Ecoembes offers for free. Likewise, the latest trends in the sector were presented, ranging from using edible containers for sports drinks to replacing the plastic rings used in packs of beverage cans with adhesives. The second part of the workshop focused on a round table on the challenges posed by the use of plastics from renewable sources (such as potato or corn starch) to manufacture packaging, as well as on compostable packaging. This debate, moderated by Sergio Torres-Giner, a researcher at IATA-CSIC and associate professor at the Universitat Politècnica de València, featured Jordi Simón, Business Director at BASF, Maribí Portal, Director of Regional Technical Services and a Specialist in Application Development at FUTAMURA, Domingo Font, Director of R&D on Biopolymers and Specialties at ERCROS and Jorge Serrano, Manager of Companies and Ecodesign at Ecoembes. At this workshop, Zacarías Torbado, the coordinator of TheCircularLab, said that “advancing in the development of new, easily compostable and recyclable containers, as well as bioplastics that can minimize the impact on the environment is a constant challenge for our innovation center and for society as a whole. 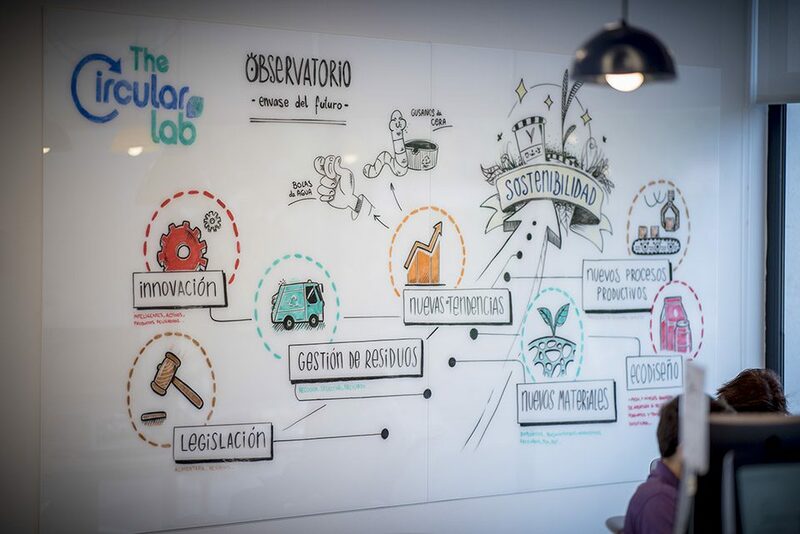 For this reason, at TheCircularLab we are committed to this kind of informative workshop that aims to inform all the actors involved about the latest developments in this field”. On this occasion, we were lucky to be able to work with the AINIA technology center, with which we worked to promote this workshop.